Are your currently staying in Shah Alam (SA), Selangor and looking for a reliable driving school or instructor? If you are, maybe we may be able to assist you. Here’s some information about Shah Alam. Location wise, it is sandwiched in between Klang town and Petaling Jaya. 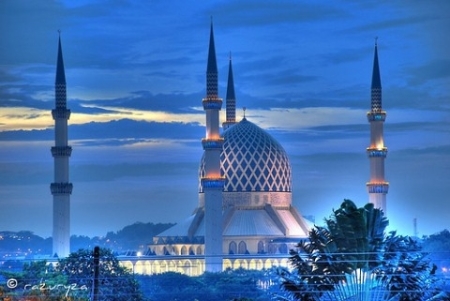 It is approximately 25 kilometer west of Kuala Lumpur, capital of Malaysia. Here’s something most people would not know. In the year 1978, SA officially replaced Kuala Lumpur as the capital state of Selangor. In 1974, Kuala Lumpur was incorporated into the Federal Territory. The town area was also the first planned city in Malaysia after its independence in 1957. Notice how the surrounding area was well divided into specialised industrial and residential areas? Prior to Malaysia’s independence, the town was actually known as Batu Tiga, a centre of rubber and palm oil trade for centuries. The name Batu Tiga is still wide used. Because SA is a big township, locating a good car driving instructor can be difficult. You may need a teacher who is experienced, calm and patient. 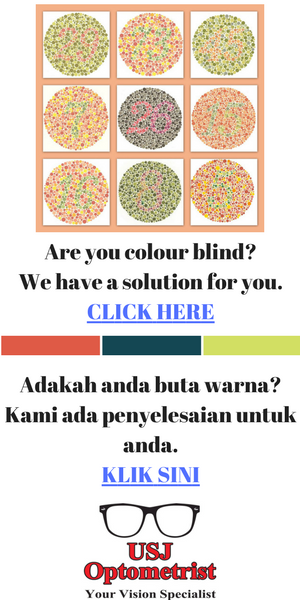 You may be looking for a person who can communicate well in English, Chinese and Bahasa Malaysia. Whatever your needs may be, we can help. If you need the services of an English speaking driving instructor in Shah Alam, Selangor, please click on the link below to visit our associate driving school Facebook page. translate my driving licence here. So I want to know that how I can take licence in a easy way that I don’t need to pass the levels in driving school, is there any quick test that I can take licence here? A Malaysian driving license can only be obtained in the usual manner. I found your website when I googled for driving schools in Shah Alam. I got my Malaysian license about 6 years ago when I was 18. I have been studying in Melbourne since then, so have not had the opportunity to drive. However, I will be moving to a different area in Melbourne which will require me to drive. Thus, I need to brush up on my non-existing driving skills! I am currently on holiday, staying with my parents in Bukit Rimau, Shah Alam. Also, is it possible to do the refresher course on an auto car? If you could get back to me on any information you have as soon as you can, that would be great. Thanks! Hi Regina, thanks for your inquiry. Our instructor can go to your place in Bukit Rimau, Shah Alam. I’ll send you his contact details. I actually have driving license since i was 18 years old but I did not drive at all even until now. Few months back, i only realise that my driving license was expired on Dec’2006 and i have forgotten to renew it. Please advise me is there any way that i could renew my long expired license without re-taking all over the exam again ? thank you. Your license seems to have lapsed. it has become null and void. You have to repeat certain parts of your practical test. Contact JPJ Putrajaya for the necessary steps. I doubt very much if you can convert Chinese license into Malaysian license. I am enquiring for my girl friend. She already have an L license recently, but the instructor that she was using wasn’t reliable. Thus, she would need driving lesson and final examination. She live in Shah Alam, section 13. Her available time for lesson is on weekdays in the morning. Please let me know the price and also if you would pick her up for her driving class? Hi Gerald, thanks for your inquiry. Section 13, Shah Alam is fine for us. I’ll email to you our instructor’s handphone number. For ur information i am stay in Shah Alam Seksyen 16. Hi Mages, thanks for your inquiry. Our instructor do cover Shah Alam Seksyen 16. I’ll email to you his contact details. Thanks. I am planning to come Malaysia for employment purpose in couple of month. I will be finding some suitable place in Shah Alam. I need to learn driving and currently I dont have driving license also. Kindly let me know what are the expenditures and class timings of driving and what is the process of getting Driving License in Malaysia. Hi Umair, thanks for your inquiry. I’ve email our driving instructor’s contact detail. You can talk to him if you have any special request. All to best to you! I would like to ask you for a favor…I am planing to learn driving a car and I am staying in Kristal residential College in Shah Alam section 7. btw if you find a suitable place for me here in Shah Alam…Please contact me on my email as I mentioned . Hi Ebrahim, Shah Alam section 7 is quite close to where we are located. I will contact you through your email then. I would like to get a motorbike license for my 16 y.o son during the school holiday Nov-Dec 2012. Can you provide me the reliable driving school around Section 9 Shah Alam? Try approaching Cekap Institute in Sri Muda. I am staying in Sec 13 Shah Alam. I wish to enrol my son and daughter for driving lessons and hopefully complete the necessary tests. They are in Malaysia for semester holidays. Appreciate if you can contact me for further information with regards to fees and schedule. Will your school be able to pick up from home? Hi Azimah, thanks for you inquiry. Yup, we do cover Section 13 Shah Alam. Will contact you on your email. Hi Cikgu – would appreciate if you can inform availability and process for my daughter and son to take up driving lessons for Jan-Feb 2014? I am staying in Sek 8 Shah Alam and would like to send my 17 years old son for driving lesson soon. Please let me know the fees and schedule and whether you can arrange pick up from home? Contact me thru my email pls. Hi Irene, no problem. Our instructor do cover Seksyen 8 Shah Alam. I’ll email his contact details. I am staying in Sec 6 Shah Alam. I wish to enrol my daughter for driving lessons and to eventually get her driving licence. Please furnish me with the necessary information with regards to fees and schedule. Hi Teh, thanks for you inquiry. Our instructor can go to Sec 6 Shah Alam for your daughter’s driving classes. I’ll contact you via your email. Cikgu yap, can you recommend a good driving school in ampang area. I learnt driving 20 years ago, didnt complete course though, bad experience with drunk instructor…. Thanks. Please try approaching Metro Driving School. I am currently residing in Shah Alam and I am planning to get a car as I am working now. However, I haven’t been driving since I’ve gotten my license and I don’t think I can drive one without figuring which pedal to step on. That being said, do you offer refresher course services at your driving academy at Shah Alam? Hi Michelle, we do offer driving refresher course in Shah Alam area. I’ll contact you via your email. Hi Katerina, yup, we do cover Setia Alam area. I’ll send the details to your email. I’m working in Shah Alam and would like to attain B Full license. I’m currently holding a B2 license. I’m looking for a less busy centre where I can practice. I’ve attended one but there were just too many students. You have to look around for a less busy area, that’s all. sir, im studying in shah alam..im having my L lisence..i took it from seremban diving school. i feel inconvenient with my previous teacher..i would like to have your classes on weekdays. may i know how much and can i have personal class..
Hi Shalini, if you are in Shah Alam area, our driving instructor can tutor you. I will contact you via your email. I am interested in taking driving lesson to get a car driving license. I am staying in Sek 25 Shah Alam. It will be good if you can provided an instructor who can communicate in Mandarin or Cantonese. Please send me the details. Thank you. Hi Chow, thanks for your email. Our driving instructors do cover Section 25 Shah Alam. I’ll contact you via your email for more information. Hi Chow, I’ve already received your contact number. I’ll get our resident driving instructor to contact you in regards to your driving lesson. Living Shah Alam section 13. Searching for the nearest place for her to do the theory test in English to get LDL and then have driving lessons to pass driving test and get PDL. Thanks for writing in. Our resident driving instructors do cover Shah Alam Section 13. I will contact you via your email for your contact information. Hi Cikgu Yap, I’m on my semester break at the moment and I would like to do a speedy driving course because I have approximately a month till my classes starts again. I live around section 8, shah alam. Does your instructor cover my area? And what are your fees like? Can you please explain further through my email? thank you. Hi Emily, thanks for writing in. I’ll contact you via your email. i have indian valid car driving licence. i want convertion in malaysia. how long it will take time. endorsed from Indian high commision – kulalumpur. Go to Putrajaya. Only then can say if your license can be converted. Hi I would like a refreshment course, please contact me via email. Hi, I would like to inquire more about the driving course around Shah Alam. I have taken the L but did not continue take any classes. Do I have to resit for the L . I am planning to learn the driving courses during the raya holiday. I am moving into Setia Alam in Mid August and I need to learn driving. I am already a working adult, therefore only finish working at 4pm during weekdays and free on weekends. Are there possibility that the instructor can come to pick me up for the lesson as I have no transport out. Please do let me know about the quotation. We stay at seksyen 11, Shah Alam. I have a car licence but would like to learn how to drive a motorcycle. My younger sister needs to learn how to drive a car. May I know the quotation for both? Hai I’m siva. My friend in shah alam kota kemuning looking for a good driving instructor. If possible lady instructor. Will contact your email. But we have male instructors only. I’m staying in Shah Alam sek 24. I would like to get a license for 1 – 3 tons truck and vans. I’ve got a valid driving license for cars and bikes. Attend a course for GDL and sit for a test. Try contacting Metro Driving Academy. I am staying at Section 13 Shah Alam. Appreciate if you can inform availability of driving lessons to start in September 2014. Dear Azimah, Please give clear location of your residence. We will decide if we can accommodate you. My area is near to Laman Seri Business Center. I have a Learners license which expired in April 2010, for which I did not have the chance to renew since I went overseas to study. In order for me to obtain my P, would I have to go though getting my L all over again? Also, I live in Laman Seri, Shah Alam (section 13). Would you be able to make arrangements if it’s necessary for me to re-do the whole thing. Your help is much appreciated. Thanks! Hi, i need a driving instructor. Never had a drivers license before and once learnt to drive and leaving me with a traumatic experience. In need of an instructor who had patience to teach me who suffered hobophobic. Staying in Section 9 SA. Will contact you through you email. My wife has just got a license (P) manual but now she intend to drive an auto car. I am staying at sec 7 and wanted to know whether is there instructors who can provide training using a auto car. Could you also state the charges. I am working in Kota Kemuning for last 1 year. My job now requires me to travel, and i need to learn driving and get a DL. Because i cant speak Malay or Madrian, i am not able to find a reliable instructor who can facilitate me passing the tests by JPJ in first attempt. I came across your site while trying to look for more information on obtaining a motorcycle licence particularly around exemptions or fast-track routes to obtaining a B2 or B licence given that I have held a car driving licence for almost 20 years. Appreciate it if you can help clarify this for me or at the very least point me in the right direction. Dear Harith, Procedures regarding how to obtain a B2 or B full dealt with earlier. Do your reference work to look for what you need! I live in Setia Alam. I do not speak Bahasa. Could you recommend a driving school or instructor who can teach me in English? I can travel to Shah Alam if necessary. Thanks. I’m living in Section 13, Shah Alam. I do not speak Malay. Could you recommend a driving school or coach who can teach me in English? Actually both Shah Alam or Setia Alam also ok for me to travel to. BTW, I heard there’s driving license for Automatic car driving only, so we can choose not to learn through the manual one. It would be great if you can recommend a driving school that has implemented this. Would like to enrol my son, 17 years old for a manual car driving licence (D). He already has B2 motorbike licence. We are staying in Bandar Bukit Raja. Is it possible for you coach my son? Your fast response is very much appreciated. For your information i am stay in Taman Sentosa Klang. i am looking for a driving school for my daughter to obtain a driving licence to drive auto car. i live in Setia Alam and so the instructor must pick her up from my house. Please let me know the fee structure and any other information necessary . Will be contacting you through your email. Hi Cikgu Yap, I’m looking for a driving instructor for my daughter and we are staying in Setia Alam. Kindly email me. Thank you. I am moving into Setia Alam and I need to learn driving. I am already a working adult, therefore only finish working at 5.30 some time 6 pm during weekdays and free on weekends. Are there possibility that the instructor can come to pick me up for the lesson as I have no transport out. Please do let me know about the quotation. I was wondering if you would be able to help me out. My license has expired as I was working abroad for a number of years and I am now looking to retake the practical exam. I’ve contacted JPJ who told me that I can’t bypass the written exam and lectures and have issued me with a new L license. I want to know if there are any vacancies in the practical exam in February as I was told there is a quota on the number of people per test day. I would also like to have a few lessons as I found out that they’ve changed the format. I will be spending most of my time in Setia Alam. With new L, test Part 2 and 3 within 60 days. Look around for institutes with vacancies. Engage their instructor to help. A car or motorcycle driving license? Nonetheless, will contact you via your email for more information. I’m living in Section 8, Shah Alam. I got L license and completed the 6 hours theory. My license is still valid until May 2015. So now I need to start with the 10 hours practice. I do not have own transportation so the instructor have to come and pick me up for the lesson. Please let me know the fee structure and any other information. Thank you. We have instructor covering Section 8, Shah Alam area. Will be contacting you via your email. Hi sir, I received your email but I still don’t receive any call from the instructor. Can you please email me the instructor’s contact number? Thank you. Contact blog and provide your particulars. Mr Yap will see if it’s possible to help you. Hi cikgu yap. I need a chinese speaking driving instructor and I want to take on driving license test and classes. Can u help me? I’m staying at setia impian, setia alam. Thanks! Hi Cikgu Yap, I am looking for an english, mandarin or cantonese speaking driving instructor for my daughter in Sek U5, Shah Alam. Please let me know the fees and schedule. Your kind assistance will be highly appreciated. Hi Khor, thanks for writing in. I stay at Section 7 Shah Alam. Would like to send my son for the driving licence class. Previously attended with other driving school yet my payment gone and no registration for JPJ Test been made. Can your instructor fetch & send my son for the class and how much the fee? He already have L for Motor & Car. Hi there, I am a fully licensed driver in my country however I only know how to drive automatic. I wish to learn how to drive manual, can you please provide me with the details. Also do you have female instructor? I am currently searching for the most adorable driving school for an automatic license. Do you guys happen to provide that service? I’ve done a few researches and I am quite surprised that for automatic license now, the rate is around rm1.8k. Just want to double check, is that the real standard rate these days? It seems quite a hike from the previous rate of rm1.3-1.5k. We are in Selangor. We can assist you to get an auto license at an affordable price. I like to appoint an English speaking driving instructor for my son. He have yet to sit for his undang and L license test. Can you provide me a contact number of the driving instructor who can fetch him from our residence in Subang Saujana area. I am living in Bukit Jelutong, Shah Alam and I am looking for an English speaking driving instructor for my daughter to do a driving refresher course. I would also like her to do defensive driving. As she is in Malaysia for only one month (Australia University Semester Break) , I need her to do this 5 or more lessons as soon as possible. She has already got her P licence. Thanks for writing in. Will contact you via your email. normal lorry lorry, can i just take a GDL kecil??? GDL test same for all types of vehicles. I am looking a Chinese Mandarin speaking driving instructor for my daughter .I am living in section 7 Shah Alam. May I know how much the driving fees for Auto now ? If everything ok,I would like to start her on September. Hope can get your reply soon. I live in Bukit Jelutong, Shah Alam. I’m interested in getting a driver’s license with an English-speaking instructor. Also, I’m debating whether I should get an automatic or manual license, so I’d like to hear your thoughts on it. I would like to take auto car license..hw much will it cost..
Hi, I’ve L license but have never drive for 3 years. I would like to learn practical driving for auto car in short period. Do you have Chinese/English speaking instructor that is able to come to Setia Alam area? I got a full driving licence 5 yrs back and I didn’t drive since that. Now I need to drive due to my job. I need to learn driving all over again. I prefer auto- car. Im staying in shah alam seksyen17. Can u help me? Can I have all the details about the price too? Thank you mr.yap. Glad to find your website. I come from China, and now I work in Puchong. I am a freshman to learn to drive a car. I want to inquiry about the total expenditure and time of get though computer test and get the L&P license. Longing to receive your reply. Dlm mase 2 mggu, sy akan menyambung pelajaran di sbuah uni di area gombak. Tetapi skrg sy masih lg belajar memandu utk kpp03 (10 jam) & sy hanya belajar 1 jam sehari. Sy juga kdg2 mmpunyai masalah utk belajar kerana sistem di institusi memandu di sini mengamalkan first come first serve serta mmpunyai limit tertentu shj utk sehari. Bgaimana jika sy ingin menyambung belajar memandu di area gombak nanti ? Last time you have introduced a guy to me for refresher course, but he said I must have an auto-car ready for him to teach me, so we couldn’t make it! Is there any of your instructors who has an auto-car for me to catch up driving, after I can manage to encounter the fear of driving then only I can proceed to buy an auto-car right? I am staying at Changkat View Condo, Jalan Dutamas Raya recently, please help to find a dedicated teacher for me! I am so glad I found your website. I am looking for a good and reliable english speaking driving instructor/driving school for my daughter. She wish to get her driving license soon. We are staying in Section 11, Shah Alam. I appreciate your help to recommend us some of your good contacts and share the details (price, classes, hours, etc.) with us. Thank you for writing in. Will contact you via your email soon. Thank you for this good website, I am looking for an English speaking driving instructor. I am living in section 9. Could you please send me the details of classes time and price. I live in Setia alam, do not speak bahasa. I want to learn driving. I and free in week days from morning until 3. I want an instructor who can speak English. Hi Mr. Yap ! I wonder if you can recommend a patient and experience driving instructor to me.I stay in Setia Alam and acquire a “L” licence 1 year ago. I took up 10 hours of on-the-road driving lessons. I am still not confident yet. Perhaps I am a slow learner.